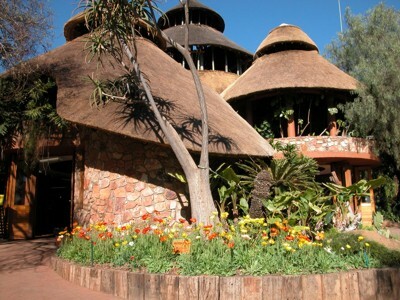 With it’s immense 23 metre high thatched roof and natural rock walls, this well known beacon, in the east of Pretoria, towers above the multi-award winning destination garden centre. The beautifully designed centre is a nature lover’s paradise with gently meandering pathways beckoning the visitor to explore further. A haven of choice and inspiration for both the gardener, home decorator and tired city dweller, this is not merely a stop to buy plants. The same dedicated management team that were involved in the inception of Safari in 1994 are still happily sharing their expertise and passion for plants with customers. Relationships spanning for more than a decade have been forged and loyal customers know where to go for quality products and friendly staff with a wealth of knowledge.